Growing up, I used to see the massive Oscar Mayer Wienermobile cruising around frequently. I guess the part of Texas I lived in consumed lots of hotdogs. 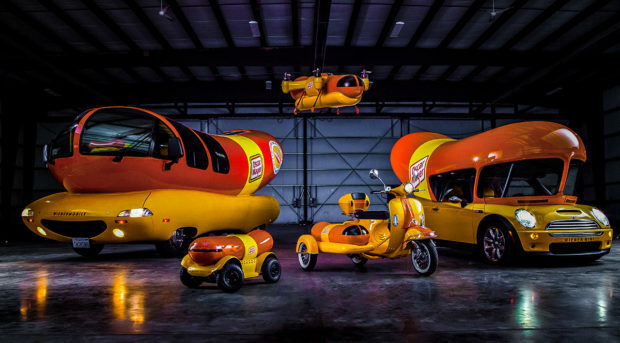 The lunchmeat maker has announced that it has expanded its Wienerfleet, and now has several smaller wieners to go along with the massive original wiener. The smaller wieners include the Wienermini, Winercycle, Wiener Rover, and Wienerdrone. The Wienermini appears to have started as a Mini Cooper. 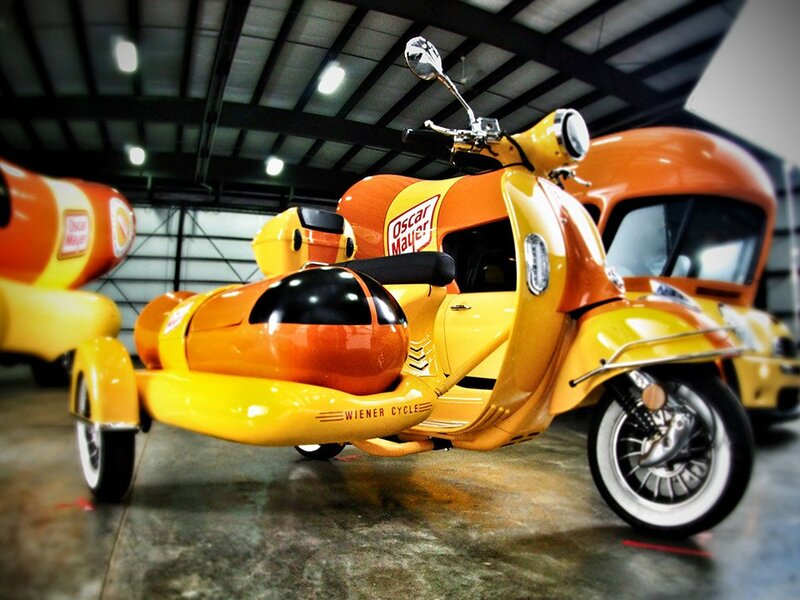 The Wienercycle is a small scooter with a wiener-shaped side car which doubles as a hot dog warmer. 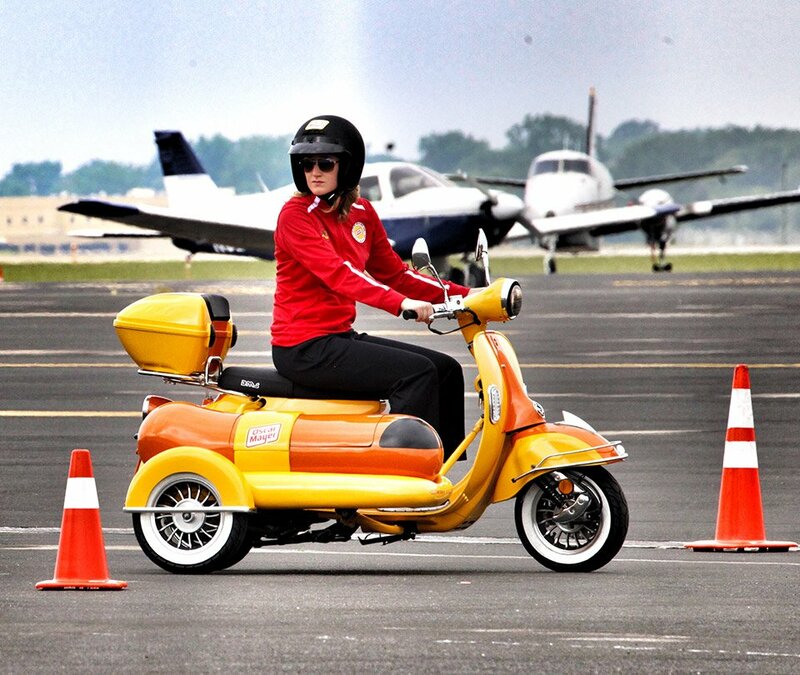 The Wiener Rover is a remote controlled hot dog truck that can deliver your wiener anywhere, on or off the tarmac. 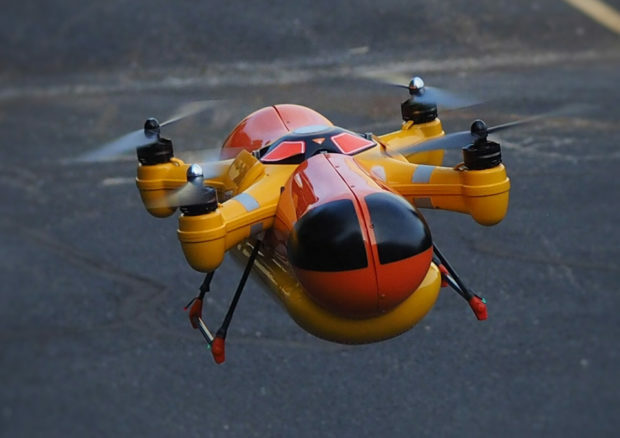 The latest addition to the fleet is a flying Wienerdrone that doesn’t need no stinkin’ roads to drop a wiener right on your head. 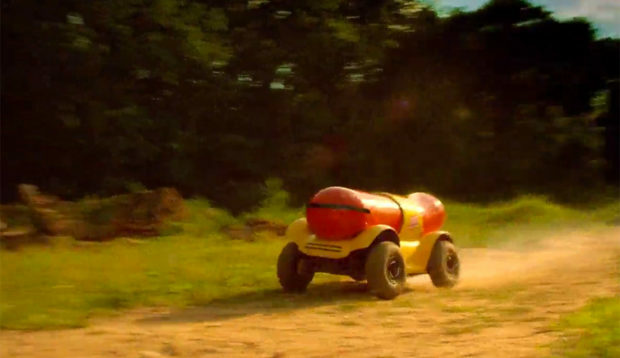 The Wienerfleet is taking to the road and air this summer to bring its Oscar Mayer’s new artificial preservative-free hot dog recipe to the masses.